Singapore’s property investment sales market turned in the best first quarter showing since 1994, according to JLL’s preliminary estimates. As of March 28, a total of $10.84 billion worth of investment deals were sealed in 1Q2018. More than 80% or $8.93 billion of the total investment deals done in the first quarter were in the residential sector, surpassing the previous quarter’s high of $8.34 billion, says JLL. For the first three months of the year, developers snapped up 26 plots of residential land worth $7.27 billion. 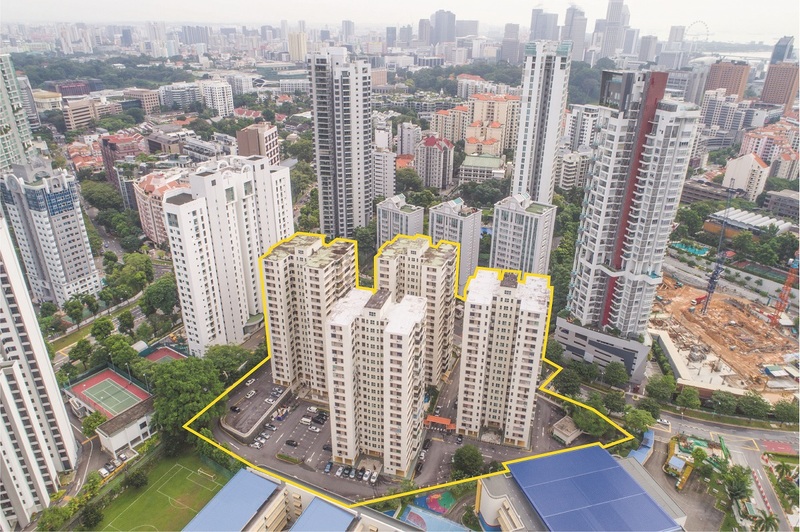 Of these, $5.83 billion were collective sale sites, and equivalent to 71% of the total en bloc deals done in 2017, and about half of the $11.51 billion achieved at the peak of 2007, says Tan Hong Boon, JLL regional director for capital markets. Four government land sale sites were sold in 1Q2018, contributing a further $1.24 billion. The top five investment deals in 1Q2018 were all residential collective sale sites. At the top was the sale of Pacific Mansion ($980 million), followed by Park West ($840 million), Pearl Bank Apartments ($728 million), Goodluck Garden ($610 million) and Brookvale Park ($530 million). Investment sales activity in other sectors was relatively muted, except for mixed-use sector with $929 million worth of deals, or 8.6% of the quarter’s overall investment sales value. Notable deals included Perennial Real Estate’s acquisition of Pontiac Land affiliate Chesham Properties’ 50% effective stake in Capitol Singapore; and Ascendas-Singbridge’s purchase of JTC’s 2.4 ha site for the development of a mixed-use executive centre at Rochester Park in one-north.